Central Wellington has an enviable concentration of world-class cafes — here are eight. With so many exceptional coffee spots around Wellington, just where do you start? Well, the heart of the city centre is one place. 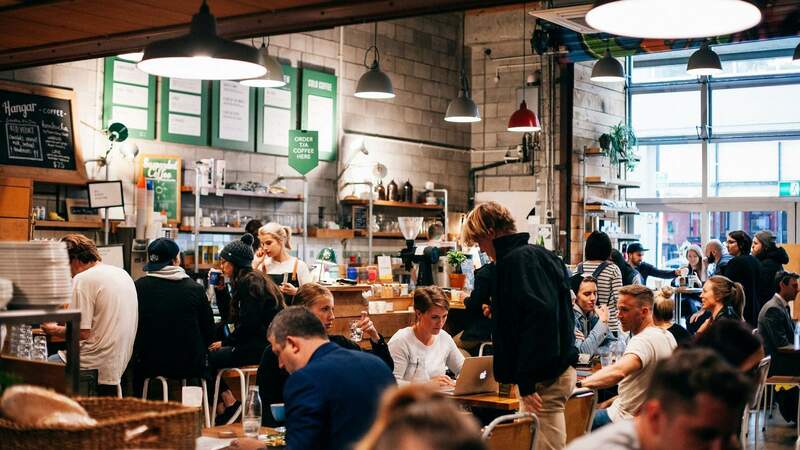 Compact enough to walk from one end to the other and steeped in history and culture, central Wellington has an enviable concentration of world-class cafes. 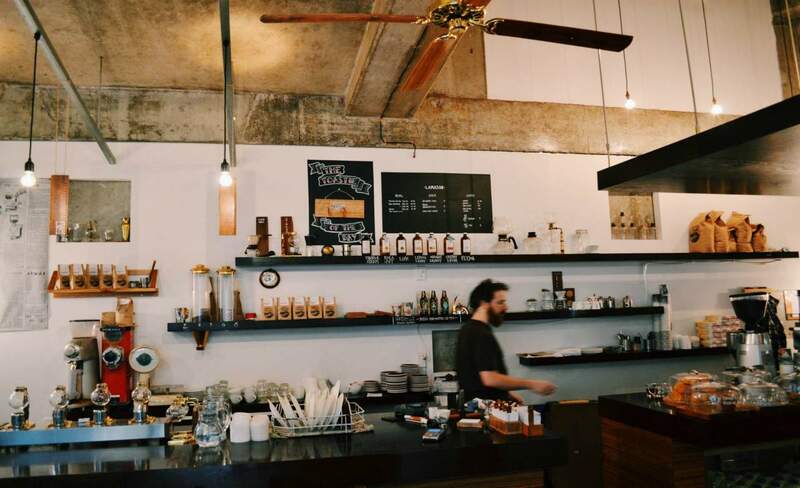 Here are eight of the best coffee shops in the CBD. 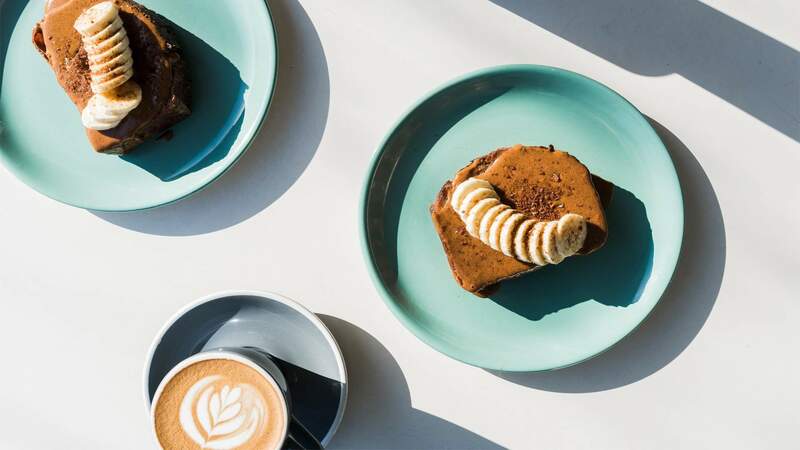 As Coffee Supreme's flagship cafe, Customs is an Instagrammer's dream and perhaps the quintessential Wellington coffee shop. Beautifully polished wooden surfaces, an intimate layout and a display of quirky trinkets complement the superb food and beverage on offer. And with the window seats offering sweeping views of Ghuznee Street, it's a primo location to do some weekend people watching. Make sure you grab one of their signature sourdough toasts with toppings to go with your coffee, or if you're after a sweet treat, pick up a Little Dough Co doughnut. These are only available on the weekends and are snapped up very fast, so do get in quick. 39 Ghuznee Street, Te Aro. As if to demonstrate the fact that you simply can't walk a few metres in Wellington without stumbling into a great cafe, Milk Crate is situated right next door to Customs. The vibes are similar to its neighbour, yet it most definitely leaves its own mark on Ghuznee Street. The cabinet, full of tempting sandwiches, salads and pastries, is one of the first things to greet you as you walk into the sprawling yet cosy space. Have a browse around Precinct 35, the in-house design store, as you wait for your order, then take a seat on the communal table with fellow coffee lovers. 35 Ghuznee Street, Te Aro. Tucked away on the corner of Lombard and Bond Streets, Lamason is Wellington's original siphon coffee lab. 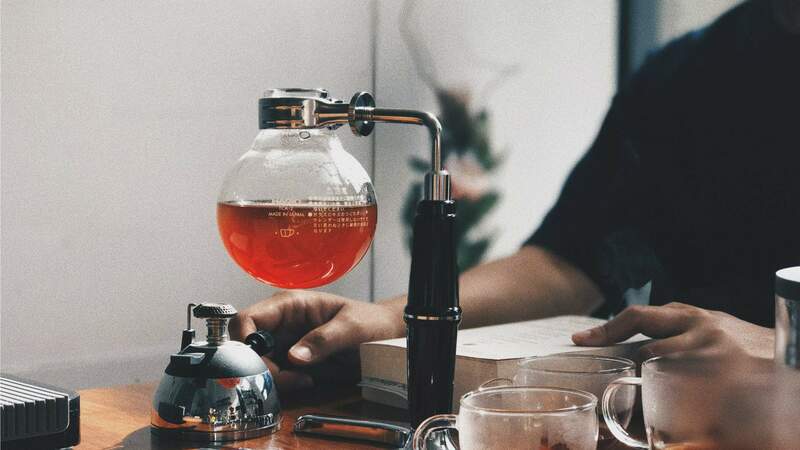 You won't find any mad scientists here though, only friendly baristas who will patiently explain to you the differences between their coffees and the ins and outs of the brewing process. For the full experience, make sure you order one of the siphon coffees, which will be plonked on your table — siphon, tray, stand and all. With a range of small bites and plenty of reading material to keep you occupied, it's an ideal hideaway smack bang in the middle of town. Corner of Lombard and Bond Street, Te Aro. In the battle of the coffee dispensaries' flagship stores, Flight Coffee's Hangar on Dixon Street is certainly one of the heavyweights. Perpetually bustling and packed with eager punters, it provides a coffee and dining experience like no other — if you're lucky enough to nab a table. 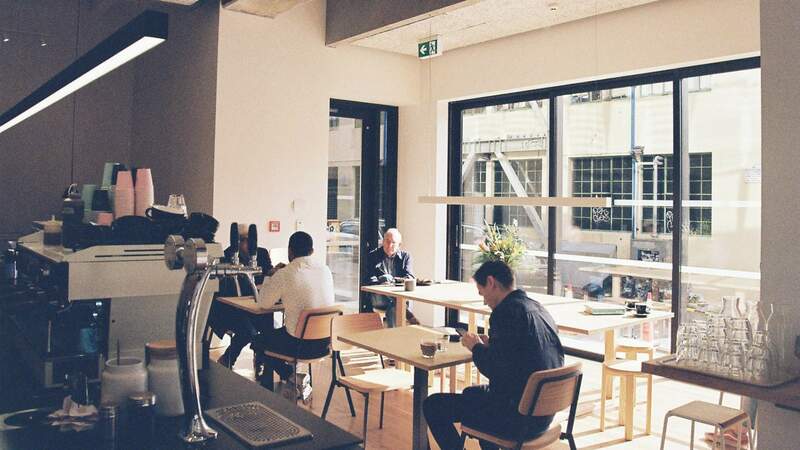 Serving up coffees made from ethically sourced beans, the team at the Hangar is committed not only delivering great service but also sharing the stories of their coffees and their origin. With an extensive range of dishes, it's one of the top places in the CBD to enjoy brunch and a damn good coffee. Pro tip: if you're stuck on what to order, just get one of their sampling platters for a bit of everything. 119 Dixon Street, Te Aro. After years of faithfully serving Newtown as one of the suburb's most popular coffee spots, People's now also caters to CBD workers from a well-earned spot on Lukes Lane. Occupying a sun-drenched corner spot, it's a fantastic little place to enjoy your morning brew before heading to the office. 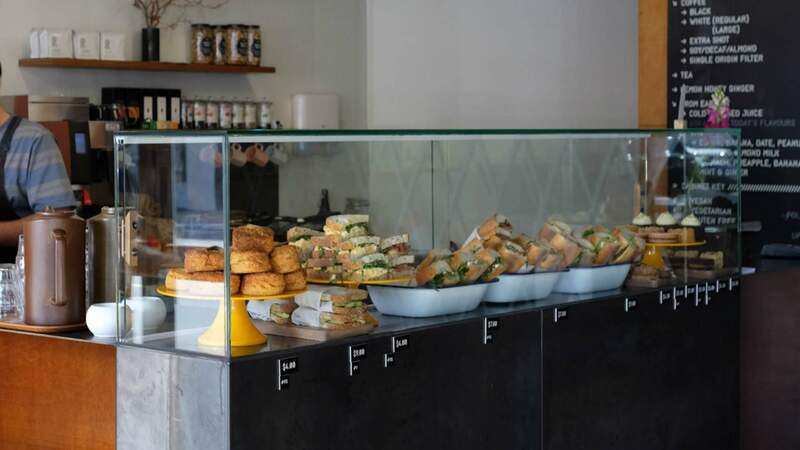 To add the gloss on an already fantastic inner city cafe, People's Lukes Lane boasts a menu designed by Esther Lewis, providing you with a range of delectable treats to go with your coffee. 1 Lukes Lane, Te Aro. Wellington is a city that celebrates diversity, recognising that different folks do have different strokes. Some people like their coffee in the late morning, some like it at 2am, and that's perfectly okay. Midnight Espresso, a dominant presence on Cuba Street for the best part of three decades, was opened to cater especially to the latter type. Whether you're after a weekend brunch spot or looking for a caffeinated pick-me-up after a heavy night out, the welcoming glow of Midnight Espresso invites you in to enjoy a coffee and a cake in a safe environment. 178 Cuba Street, Te Aro. 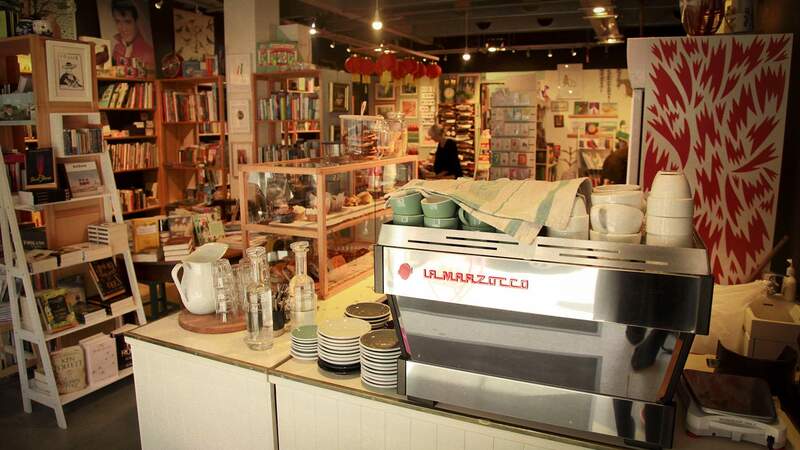 Regardless of whoever first thought of mashing a cafe and a bookshop together, it's simply a fantastic idea. Ekor — Swedish for 'squirrel' — is one of College Street's biggest drawcards and the perfect place to burrow into both a book and a coffee. Tuck into a scone, quiche, pressed sandwich or a Little Dough Co doughnut before exploring the books and gifts on offer, all the while enticed by the scent of freshly roasted coffee. 17 College Street, Te Aro. Billed as New Zealand's first fully manual coffee bar, Pour and Twist really is something special. Quirky but emanating effortlessly chill and communal vibes, it's slotted seamlessly into Wellington's cafe scene. 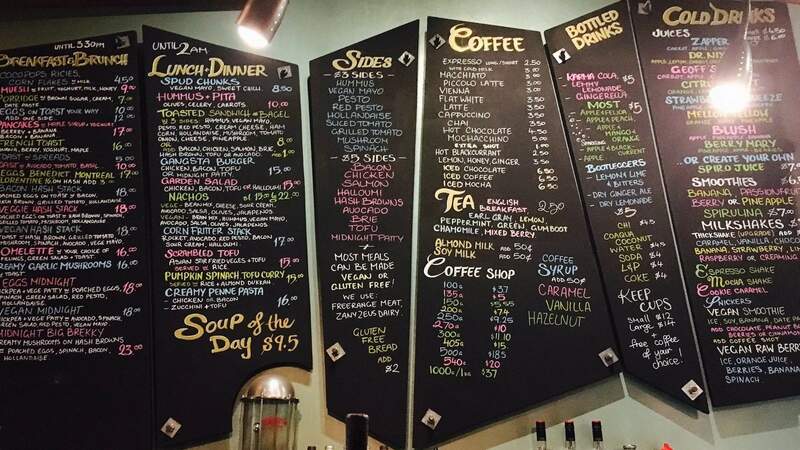 Daring flavour combinations are the norm at Pour and Twist, and reading through their menu is all part of the fun. Will you try the Grey Marble with activated charcoal powder, Nitro Matcha or the truly outstanding Orange Choffee, which is filtered through an orange peel? 13 Garrett Street, Te Aro.